Is AMD's £95 quad-core chip a bargain buy or cheap tat? Is it worth picking up a cheap quad-core processor? AMD gives its budget quad slightly higher clocks. Good for multi-threading, less convincing in games. A quad-core chip on the cheap is a compelling concept. 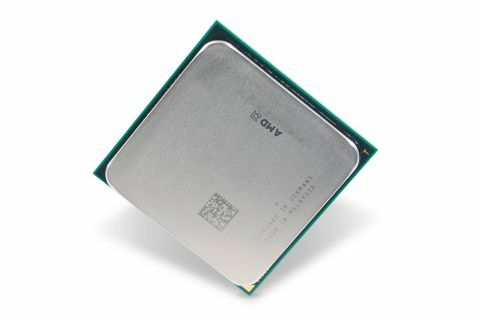 The new 3.1GHz AMD Athlon II X4 645 is certainly a quad-core chip, but is it cheap enough at £95? For sure, there are more affordable Athlon II X4s on offer. The 2.6GHz 620 model can be had for around £65. Moving up a gear, seriously high performance quad-core processors from both AMD and Intel sell for less than £150. AMD's new flagship quad, for example, the 3.5GHz Phenom II X4 970 Black Edition is yours for a whisker over £140. Intel's Core i5 760 is similar money. The challenge for the new Athlon II X4 645, then, is to get close enough to those more upscale chips in terms of performance that the price differential looks like a worthwhile saving and not a false economy. Of course, the 645 also needs to put clean air between itself and cheaper quads, such as the 620.